This quarter I've been teaching a course titled "Writing about Literature and Culture" (English 79A), in which we look at how some communities are misrepresented from mainstream representations, asking students to look at some of the communities to which they belong to address some of these issues. So I was excited to hear that one of my students, Marissa Martinez, who has been researching issues related to being bi-racial and bicultural, wrote a play about the very topic. 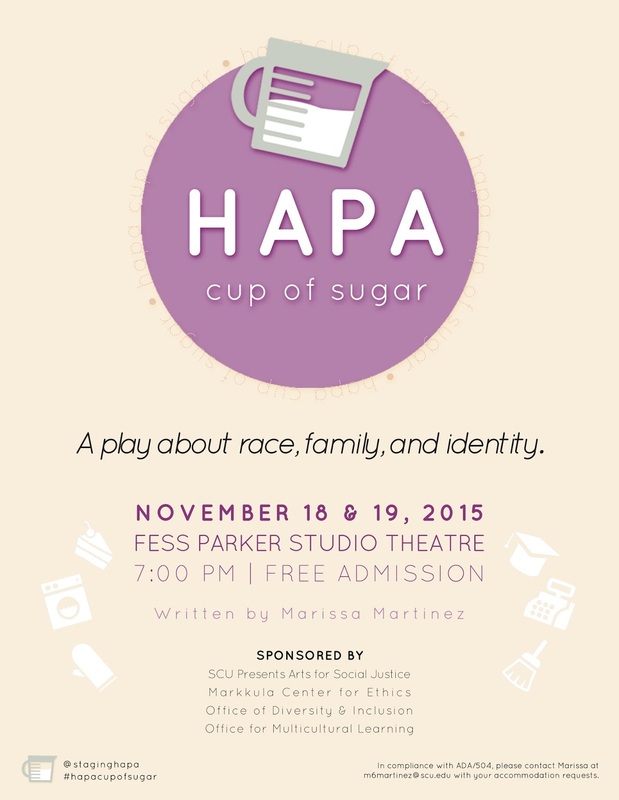 Tonight, here at Santa Clara University Fess Parker Studio Theatre, Martinez's Hapa Cup of Sugar will play for its second night.